Bottle Park Lodge is directly opposite Paeroa's iconic bottle and the surrounding well manicured Ohinemuri Park (known locally as Bottle Park). Our accommodation is self contained is ideal for 4 people ( family or groups of friends). Your group or family will be the sole occupants and you do not share with strangers. There is a main bedroom with double bed, a second bedroom with two singles that can be drawn together to make a double. A fold out bed in the lounge area will cater for an extra 2. There is an extra sitting room to give extra space as a quiet breakout space. Cyclists will love the location because, situated at the junction of the three legs of the Hauraki Cycle Trail, one can ride each section of the trail and back in a day. No need to organise return transport. Paeroa is steeped in history and there is something to interest everybody. Relics from the kauri logging and gold mining days abound. Also there is a museum and the nearby Maritime Park on the Waihou River. A few minutes drive takes you to the beautiful Karangahake Gorge scenic reserve with historical relics, swimming holes, hiking and picnic facilities. There is trout fishing, kayaking and other water sports available in the rivers. Take a drive (or a bike ride) to Te Aroha and try the mineral pools. Or maybe Waihi to ride the train or view the colosal gold mine pit. Catch a wave (or a fish) at stunning Waihi beach which is only 30 minutes away. If that isn't enough to get you going the bowling club, golf course and racing club are all a stones throw away or kick back at any of several cafes and bars. 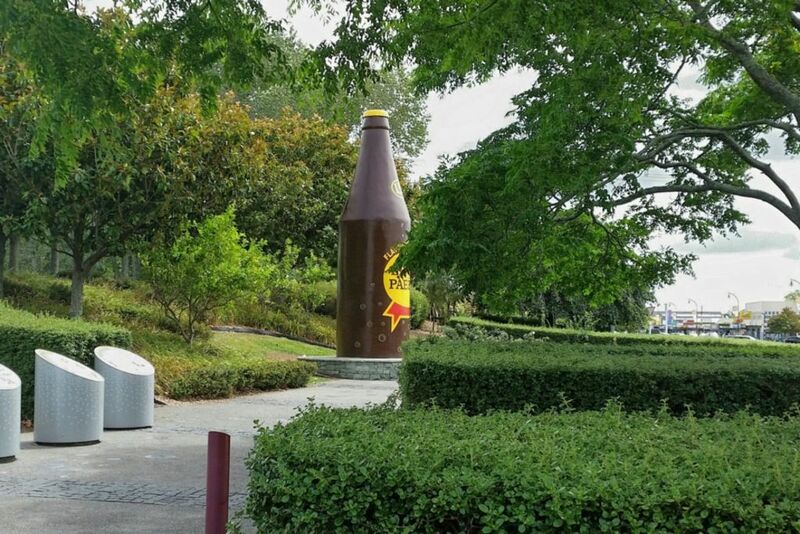 Don't forget to get a selfie in front of the Bottle (world famous in Paeoa) just like thousands of other visitors to Paeroa. * This is self service during your stay. * This is not a serviced accommodation. Guests are respectfully asked to clean up after yourself and leave our house as you find it. Handy to cafes, bars, shops. All amenities, public pool, golf, squash, bowling and horse racing. Heaters and heatpump in kitchen in additional to main woodburner. All linen is provided. This includes towels, face cloths, sheets and tea towels sufficient for your stay. There is a one off / flat rate charge of $40 (entitled laundry fee) for linen. Off street parking with space for two or three vehicles. One vehicle can be parked undercover in carport. Firewood available in outside shed. Contains wood burner ample seating on two or three sofa's, coffee table and TV. Spacious pantry. All dishware , cooking utensils and cutlery provided. All dishware , cooking utensils and cutlery provided. Spacious kitchen with oven, microwave, fridge. Dining table seats six comfortably. Local NZ stations only. Around 10 to choose from. Small private rear lawn area. Ideal accommodation for rail trail bikers and or hikers and others interested in local interest points. Lovely house, all very easy. Great location, great stay. Perfect location for us and a very nice house to stay in. Owner was very helpful. The owner was a pleasure to deal with and the house was the same standard as last year when we stayed before. Great place with all the conveniences of home, and good location - perfect for our needs. The house was spotless we were so impressed. Beautiful safe back garden where we had nibbles and a glass to wine in the afternoon sun. Beds where made and fresh towels supplied and good quality toilet paper which sounds silly but it means she cares for her guests. The house is walking distance to the main street and central if you want to go to Te Aroha, Waihi or Thames. We would recommend this place to everyone and we would stay again. Thanks Mary for topping off a wonderful family occasion. House was exactly what we needed - we had five adults and a wee baby, and had plenty of space, and absolutely everything we needed. It was the perfect place for a family weekend away.